Hi, everyone, I'm glad to meet all of you after a long break. Some of you might be thinking what have happened to Arthy,she is missing in action. Anyway to be frank, I have been extremely busy with work, work and work only, I have cooked many dishes all these days but never had enough time to take pictures. 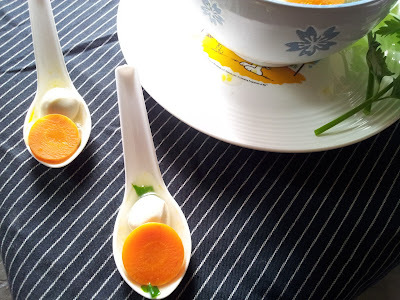 Now let us take a look at what I have to share with you today, Simple Clear Chicken Soup. In a pan, boil water, stock cube, chicken carcass until the stock reduces to 2/3. Now add in chicken slices, carrot, cabbage and fish balls, let it simmer until chicken is completely cooked. Finally before serving add in cilantro and spring onion. Adjust seasoning if needed and now our Simple Clear Chicken Soup is now ready to be served. 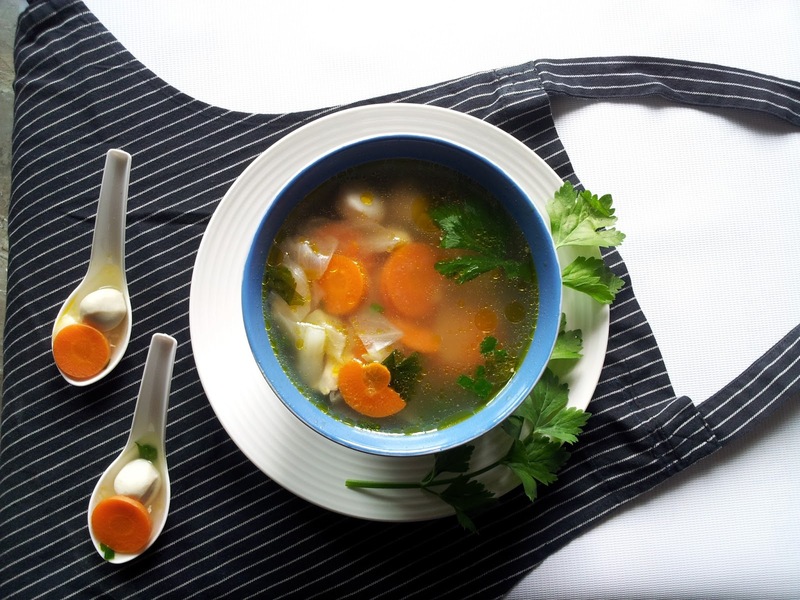 Superb clear chicken soup. Delicious...lovely clicks too. Seriously sis,am craving for some hot chicken soup..Loving this super delicious soup, prefect for my sour throat. This is like the most perfect soup, simple ingredients and good for the taste buds. Yum with a plate of rice for heavenly uplifting. welcome back dear :) nice soup to enjoy..
i'm having a cold and this soup seems perfect! Raf u should try just add a pinch of black pepper good for cold...get well soon..
Looks yummy and the shot is just perfect!! delicious soup,perfect click.looks so impressive.